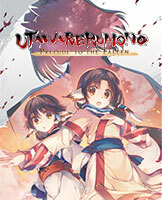 Utawarerumono: Prelude to the Fallen | NIS America, Inc. Discover the first chapter of a tale years in the making. Hakuowlo, a man with no memories, must find his place in a strange new world and embrace the destiny that awaits him!